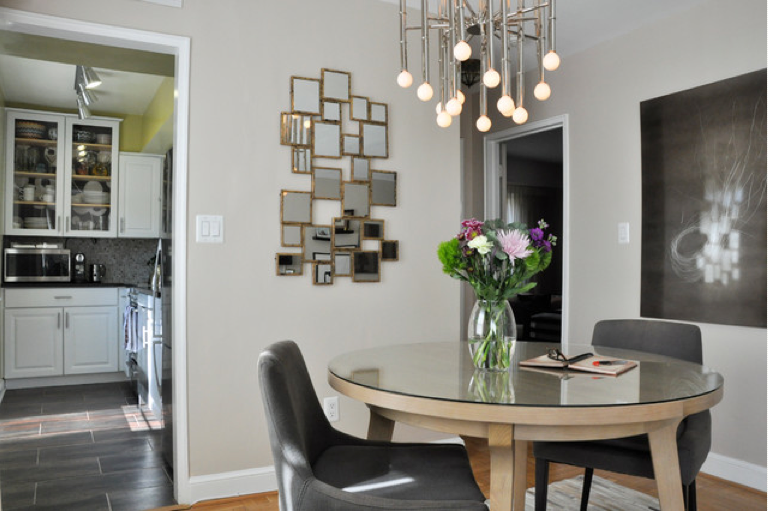 Ambi Design-The Blog: Small Spaces, no worries! One of the design strengths that I pride myself on is my space planning ability. 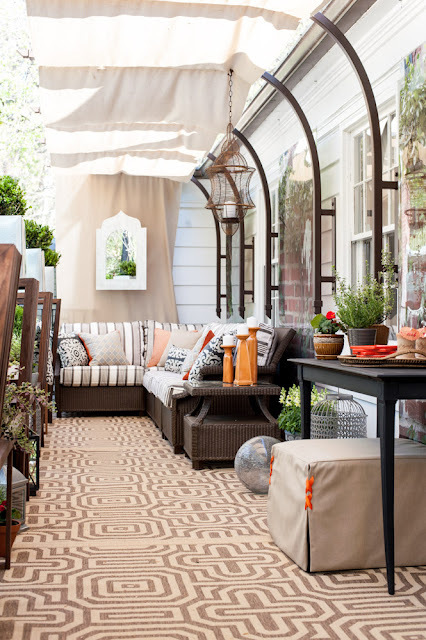 I think that the deck that we designed for the DC Design House (see below photo) was a good example. Another good example is my little sister's condo in Arlington. Read the story on Houzz.com today about it! It is a 600 some square foot condo that had little personality when she got it three years ago. We just officially "finished" it up a few months ago. Northern VA magazine did a great feature article on it this week if you live in the DC area. 1. Open spaces up to each other. Seating groups and dining areas and working areas should have visual flow. Example, in my sister's condo it would have been wrong to have a sofa face the TV. The back would have cut off the dining space. 2. Keep furniture open and airy. The bookshelves in my sister's desk area are great because you see the wall behind. It keeps the room looking "wall to wall". The open benches on the deck I designed did the same thing. 3. Utilize the height of a room. 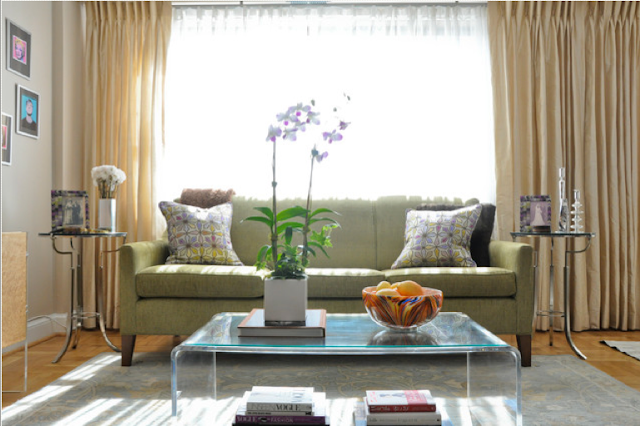 Window treatments should go as high as possible. Storage should go tall (read the article to see my sister's closet!). 4. Mirrors and reflective finishes bounce light around reflection around a space to help to make it seem larger. 5. 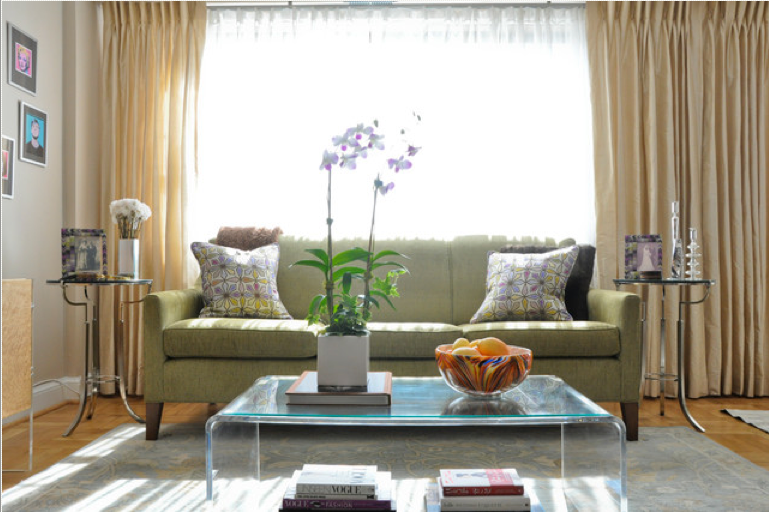 Clear furniture or furniture with legs shows floor and helps trick the eye into thinking a space is larger.